2018.05.07 | Adams, Sean A. and Seth M. Ehorn, eds. Composite Citations in Antiquity: Jewish Graeco-Roman, and Early Christian Uses. Vol 1. London; New York: Bloomsbury, 2016. Reviewed by R. Jarrett Van Tine, University of St. Andrews. This work is the first of a two-volume set addressing the curious literary technique of composite citation (CC). 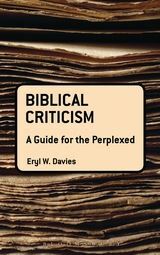 Although CCs appear fairly regularly in the New Testament, a thorough understanding of the method has lagged since “there has been very little work focused on this citation technique within the broader Jewish, Graeco-Roman, and early Christian milieu” (p. 1). 2012.03.07 | Matthew A. Thomas. These Are The Generations: Identity, Covenant, And The ‘Toledot’ Formula. Library of Hebrew Bible/Old Testament Studies 551. New York: T&T Clark, 2011. xviii + 153 pages. £65. ISBN: 9780567151414.